A relatively small area boasts a plethora of wonderful sites and natural wonders creating spectacular landscapes. Take a look at these ten picks of the week and plan a day trip once you are in the United Kingdom. Just a short drive from London, quite an unexpected view awaits you. Fragrant and vivid fields of lavender are open for the visitors to view. All summer the fields are bursting with an unforgettable scent and colors, a great place to have a relaxing stroll. One of the favorite beaches in Torquay – the so called British Riviera – Oddicombe will be endorsed by the swimmers and sunbathers. The picturesque beach also provides various facilities, has a cafe and of course a soft sandy strip. Posited on a rocky headland, the Medieval castle is responsible for this wonderfully dramatic landscape. And a bit further away on the mainland, there is a gorgeous palace in a great condition, making it indeed an exciting site to visit once in Stonehaven. A small lake in the Glyderau mountains in Snowdonia provides quite a surprise for the visitors. 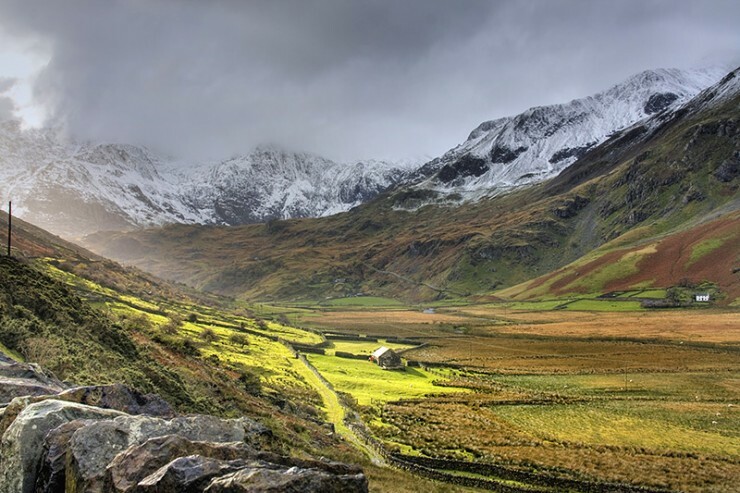 It is easily accessible from Ogwen Cottage by a path, which also provides a scenic hike. However, the lake itself is the biggest treat – the mountains reflects in its crystal clear water creating quite a surreal view. Found on the glorious Isle of Skye, the Quirang is a landslip, which is still moving and constantly shaping the landscape. The surface here varies from the flat valleys to the steep pinnacles and cliffs, making it even more dramatic. The park is named after Snowdon – 3,560ft tall mountain, which is the tallest one in Wales and England. The park boasts mountains and the coast, that make a dramatic landscape. It is one of the most popular places among the hikers, climbers, cyclists and backpackers. 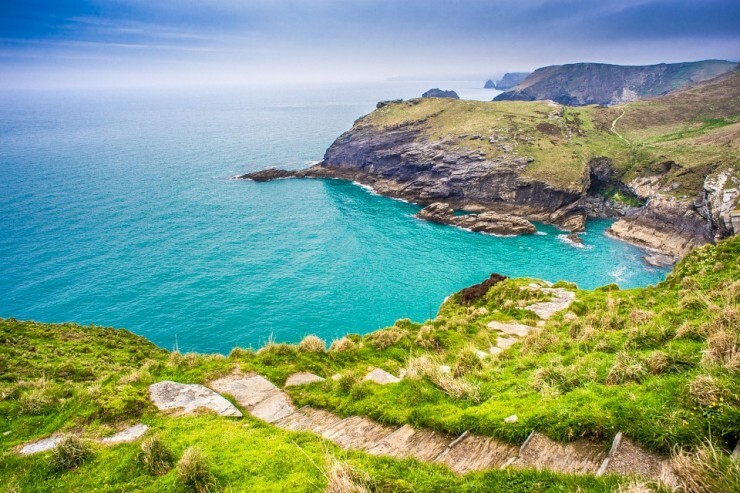 The land of turquoise waters, Cornwall has been attracting not only happy vacationers, but especially artists for centuries. Mesmerized by the bright colors and idyllic shores, painters have been coming here trying to depict the rare beauty. Today it is a popular tourist destination, which also boasts plenty of galleries, accommodation and low key entertainment. The famous bridge in Bristol was designed by the notorious engineer Isambard Brunel. An important achievement of the time, the bridge remains to be a symbol of Bristol. Encompassing the Avong Gorge, which is a beautiful site in its own right, the structure is one of the most popular landmarks and attractions in town. The limestone gorge in Somerset not only is a scenic natural wonder, but a very important archeological site as well. The oldest human skeleton, dubbed a Cheddar Man, was found here, providing an important insight into the history of the British Isles. It also boasts a system of caves and is regarded to be one of the most impressive natural wonders of England. The most popular destination in the country attracts over 1 million visitors every year. The tall rocky precipitous walls stretch along the coast of the Atlantic Ocean. The trail along it attracts hikers as well as cyclists and promises a breathtaking view.